Stroke. 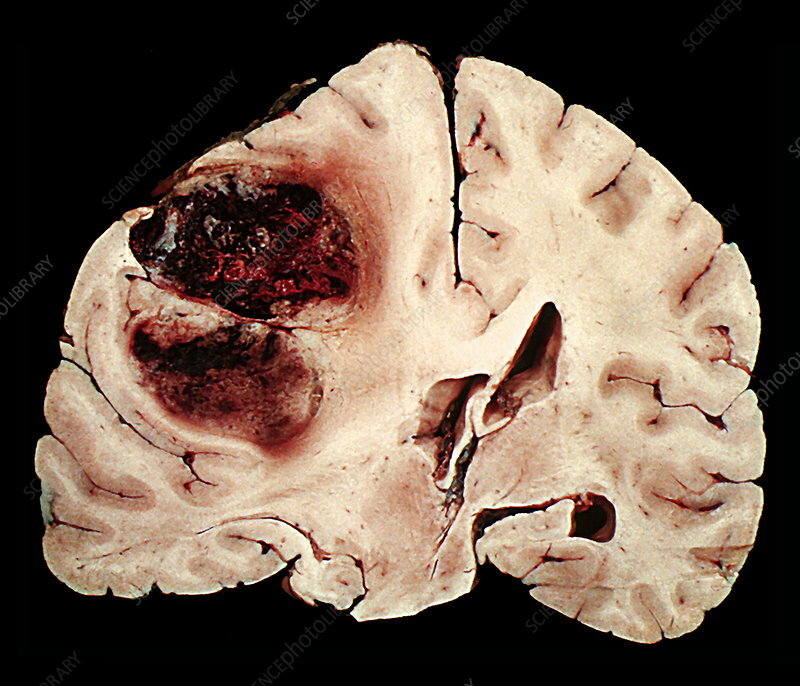 Gross specimen of an intracerebral haematoma (black), or blood clot, in the right (left on image) cerebral hemisphere. This sort of blood clot, which is often fatal, is caused by blood vessels in the brain haemorrhaging. The haemorrhage may be the result of an injury, an abnormality of the blood vessels, or high blood pressure. The pressure exerted on the brain by the blood can give a number of symptoms, depending upon which area is affected. The symptoms can include headache, nausea, changes in vision and loss of balance. Treatment is with surgery to remove the clot.